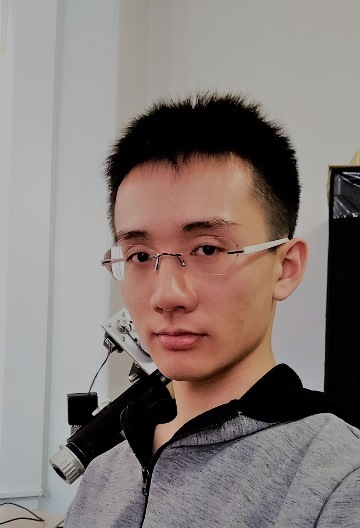 Cao Yuan, Massachusetts Institute of Technology (MIT) PhD candidate in electrical engineering. In 2018, he published two consecutive papers (one of which was full article) on the Nature. He reported the first strong-associated insulating phase and superconducting phase transition found in rotating bilayer graphene. Immediately after its publication, this article has caused great repercussions in the entire physics community because the observed similarity between the superconducting phase and the high-temperature superconducting phase may bring some new breakthroughs to the study of high-temperature superconductivity that has been stagnating for many years. This work has been reported by dozens of domestic and foreign media, and University of Pennsylvania distinguished professor E. Mele comments on Nature News and Views. 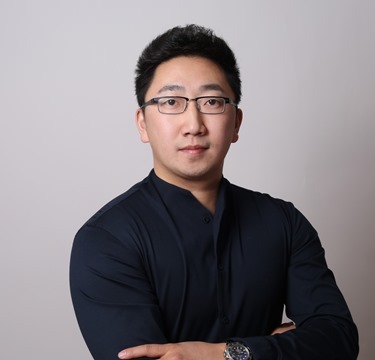 Lu Zhang is the Founder and Managing Partner of Fusion Fund. Fusion Fund supports early-stage entrepreneurs who are looking to build globally disruptive companies using innovative technologies to drive systemic change. Lu leads the management team consists of seasonal investor, distinguished entrepreneurs, and top-tier scientists. Lu was awarded the Forbes US 30 under 30 & Featured as the Honoree of VC category in 2017. She was also awarded as the Forbes Asia 30 under 30 of Finance category in the same year. Lu was awarded as the 2017 Town&Country 50 Modern Swans Influencer, representing top female entrepreneurs and influencers in the U.S. She recently got selected as Silicon Valley Women of Influence 2018. 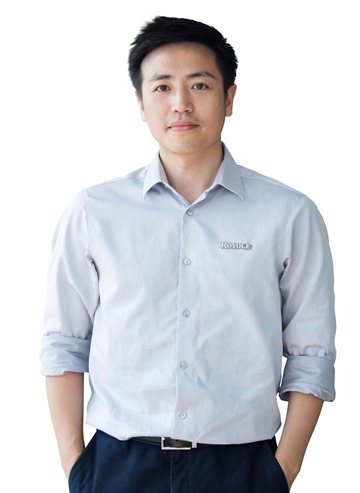 Prior to starting Fusion Fund, Lu was a Venture Partner at Fenox Venture Capital. She was also the Founder and CEO of a medical device company focused on non-invasive technology for the early diagnosis of Type II diabetes (acquired in 2012). Lu is active in the entrepreneur and investor communities providing mentorship and serve as an advisor to programs like Microsoft AC, Singularity University and StartX at Stanford. Lu received her M.S. in Materials Science and Engineering from Stanford University and holds several patents. Bill Liu, Chairman & CEO of Royole Corp.
Dr. Bill Liu is the Founder and CEO of Royole Corporation, a leading innovator and manufacturer of next-generation human-machine interface technologies and products such as advanced flexible displays, flexible sensors, and smart devices. Dr. Liu founded Royole with his Stanford friends in 2012 with the mission to improve the way people interact with and perceive their world. Royole achieved a global USD $5 billion valuation in just five years, making it one of the fastest growing tech startups. 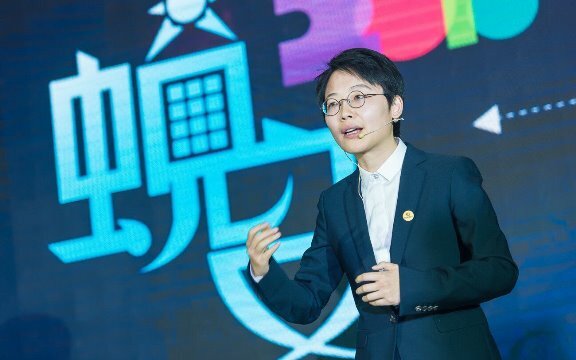 As the company Founder, Dr. Liu was named 35 Innovators Under 35 by MIT Technology Review in 2017, Young Global Leader by the World Economic Forum in 2017 and Top 10 Most Innovative Entrepreneurs in the US and China by Forbes in 2015, amongst several other prestigious awards. Prior to founding Royole, Dr. Liu worked at IBM Corporation in New York from 2009 to 2012. He received a Ph.D. degree in Electrical Engineering from Stanford University in 2009, and B.S./M.S. degrees with honors in Electronic Engineering from Tsinghua University in 2004/2006. Vick Liu: Massachusetts Institute of Technology (MIT) student, Co-Founder of TravlerPack designed, manufactured, and tested TravlerPack—a quality, multi-purpose sleeping bag for refugees in extreme weather conditions. Vick’s story with TravlerPack was covered by World Journal, Los Angeles Times, Associated Press, Washington Post, CBS News, ABC News, NBC News, and so many more. I was recognized by the NBA Boston Celtics as one of their “Heroes Among Us” in December 2017. This has been an incredible experience. Lily Zhang, A two-time Olympian (London 2012 & Rio 2016) and featured on the Netflix documentary “Topspin”, Lily Zhang has made a name for herself in the table tennis world and beyond in America. Born in Redwood City, California, Zhang took up the sport at age 7, and soon started training at the Palo Alto Table Tennis Club. She competed in her first Olympics during London 2012, and was the youngest participant at just 16 years old. 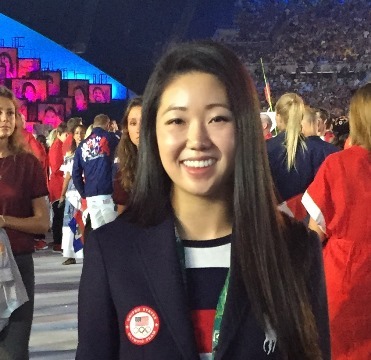 At the young age of 21, Zhang has a very decorated resume including 2015 Pan American Games Gold Medalist, 2014 Youth Olympic Bronze Medalist, 4x US Women’s National Champion and many more. She is currently a student at the University of California Berkeley, and in between her studies and tournaments, Zhang enjoys traveling, hiking, and meeting new people!. 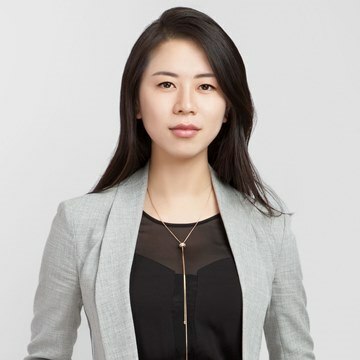 Dr. Yi Li is the Founder and CEO of Renogy, which began as a project while Li was still a Ph.D. student at Lousiana State Universiy, not only offers affordable DIY solar solutions to the public but works alongside other businesses to power and improve IOT technology, Big Data, and Smart Energy Systems. Li spearheads the company and its international subsidiaries in the US, China, and Germany. Li is an active member of YPO and was among one of thirty people to receive AACYF’s 30 under 30 in 2017. Other notable achievements include an award for Graduate of the Year from the Lousiana Business and Technology Center and an award for Best Woman Founder of the Year from the Golden Bridge Awards in 2016. Li received her Ph.D. in Physics with an emphasis in Superconductivity and Semiconductor Materials and holds over 80 patents. Her company has been the recipient of numerous awards as well, among them is a spot on Inc. 5000’s Fastest Growing Companies. Zhaonan Wang, Alumni of New York University. This provided him with the skills and understanding to become the founder and chairman of the Tumebian Group. As a direct consequence of the proceedings for the international students in the USA, he has a deep understanding of the challenges and struggles that are faced by foreign students who have been put in the difficult position of integrating into a new country. This is why he endeavors to build a one-stop-shop service to help students study and live better in the United States. The Tumeibian Group (established in 2012) offers a full range of services that covers each aspect of student life, such as; College counseling, test preparation, career service, house rentals, and student media. Each year, over 100,000 students benefit from the efforts of the Tumeibian Group. The group itself has been growing rapidly since it’s conception. It is now an organization that supports a staff larger than 200 full time employees across the country. Tumeibian also consists of twelve subgroups. Examples: Phemia Education Consulting, Minty Mentors, US Smartstudy, US Woo Housing service, and Boston Student Net. The group also has strong dedication to building a community that students can turn to for guildences and comfort. It has always been the aim of Tumeibian to help each student settle in the United States, but isn’t afraid to reach further than that. Through a wide range of services and activities, the group have helped students search for their passions and prepared them both mentally and academically to pursue the professional life that will bring them the most fulfillment. Chenglin Xie(b. China 1994), is an award-winning filmmaker and animation artist. 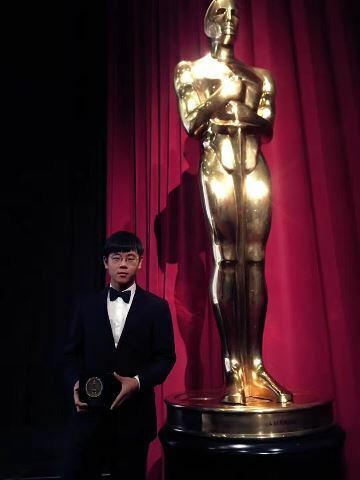 His film Life Smartphone has won Gold Medal of 44th Student Academy Awards® at International Animation Category, been in shortlist for Best Animated Shorts of 90th Academy Awards® , and was nominated for 43rd Annie Award in the category for “Best Student Film.” He graduated from China Central Academy of Fine Arts at 2016, and currently studies animation at University of Southern California for master degree. In 2015, He was ranked as Top5 of China’s 30 most influential short film directors in a 2015 study conducted at South China Normal University. 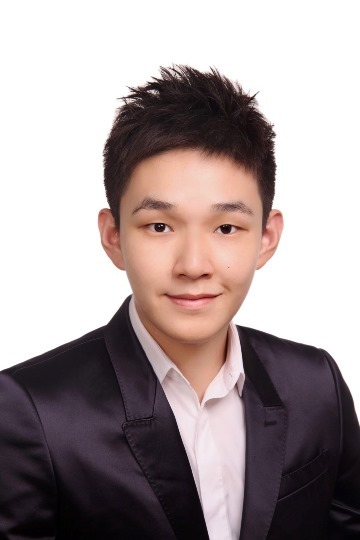 Eric Tse graduated with a Finance degree from The Wharton School of the University of Pennsylvania, Eric is currently the CEO of Liepin North America, one of the most elite human resources platforms in the U.S. and the largest elite human resources platform in China. Born in Seattle, he attended primary school in Beijing, the secondary school in Hong Kong, and university in the states. The constant traveling allowed him to adapt to various cultures, and these experiences have shaped him into the person he is today. He founded the Penn Wharton China Summit during his freshmen year at Wharton, and this summit has become the largest student-organized summit in the states. More than 3,000 students from 35 states and over 84 cities visited Philadelphia for this summit in 2016 and 2017. He, then, founded the China Summit Foundation, a recognized NGO with the 501(c)(3) status towards to end of 2016 to help charities, forums, educational and cultural initiatives by International students from different schools. 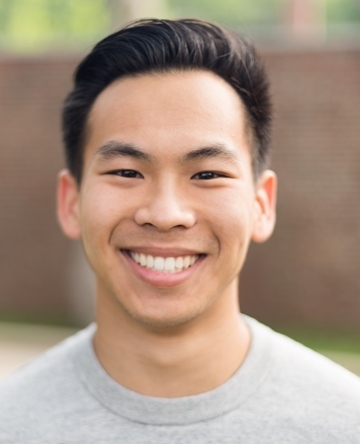 By the end of his junior year, Eric joined Liepin in hopes to help International students with their career back in China and served as the CEO of Liepin North America upon his graduation in December 2017. He looks forward to excelling further in his studies by joining the Schwarzman Scholars Program in 2018. 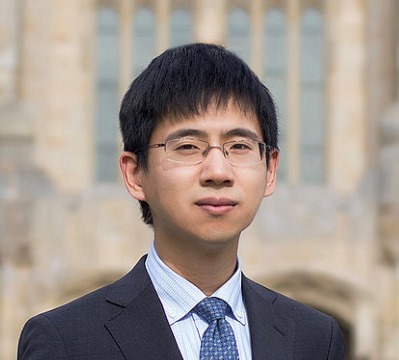 Zihan Zhuo, president of the 2017-2018 Association of Chinese Students and Scholars at Yale, founder and co-president of 2018 Yale U.S.-China Forum. Zihan received his B.A. from School of Economics and Management , Tsinghua University. Being a Ph.D. candidate at Yale, his research focuses on environmental economics and related policy issues. His current research topics are: the causal relationship between trade liberalization and Chinese manufactures’ pollution emission, the impact of China’s provincial political cycle on manufactures’ emission cycle, etc.